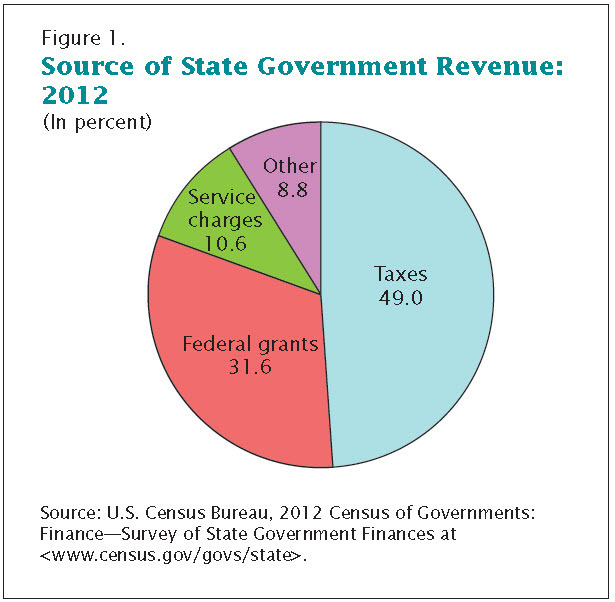 General revenues for state governments were $1.6 trillion in 2012, a 1.8 percent decrease from $1.7 trillion in 2011, according to the latest findings on state government finances from the U.S. Census Bureau. General expenditures by state governments fell 0.5 percent in 2012 to $1.6 trillion, down from $1.7 trillion in 2011. This is third time in the last four years that general expenditures have exceeded revenues. 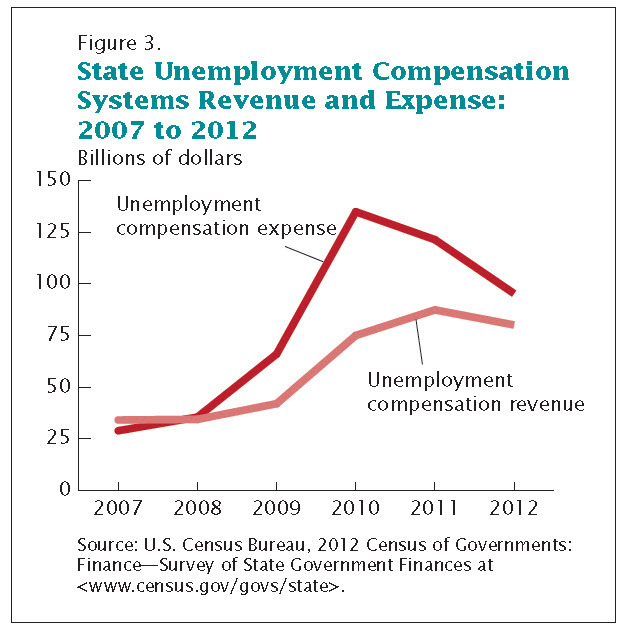 Total revenue, which includes general revenues and social insurance trust revenue such as unemployment compensation funds, fell 15.6 percent to $1.9 trillion in 2012 (down from $2.3 trillion in 2011). The findings are from the 2012 Census of Governments: Finance – Survey of State Government Finances, which shows revenues, expenditures, debt, and cash and security holdings for each state as well as a national summary of state government finances. The decline in total revenue in 2012 was mainly due to the $323.0 billion decrease in social insurance trust revenue. Social insurance trust systems showed revenues of $263.7 billion in 2012, a drop of 55.1 percent from $586.7 billion in 2011. These systems are mainly composed of state employee retirement systems and state social insurance trust systems, including those for unemployment compensation and workers’ compensation. 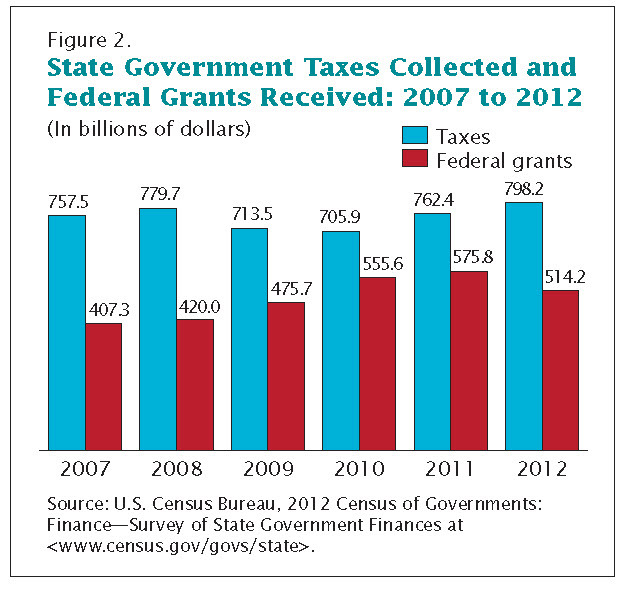 Source: U.S. Census Bureau, 2012 Census of Governments: Finance – Survey of State Government Finances.